Nebula is a blue based polish with a green to red shift and a flash of holo. It is quite shifty! I took a photo under varied lighting and angles to show the shift. I wore two coats with topcoat to reach opacity. The formula was smooth and easy to apply. 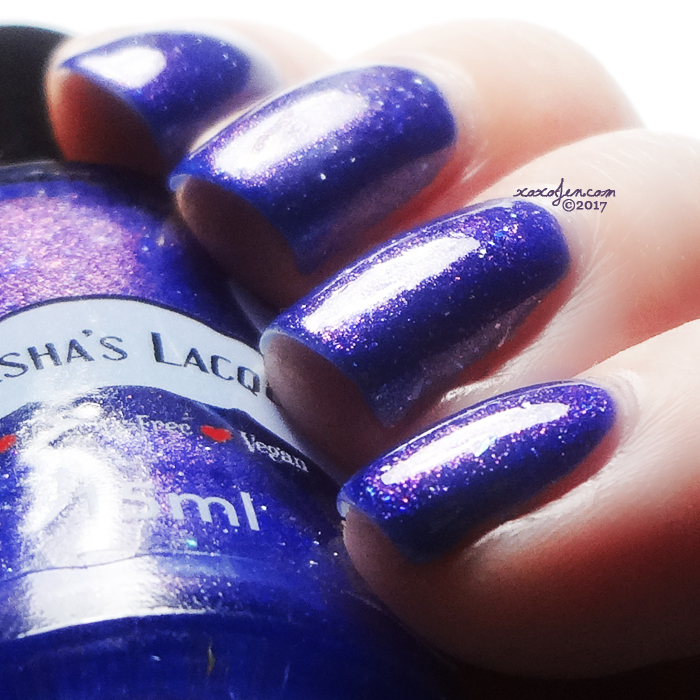 Will you be getting your hands on Leesha's very first one of a kind batch? The blue is really nice.